Good design should never be an excuse for a higher price but it is often a legitimate reason. 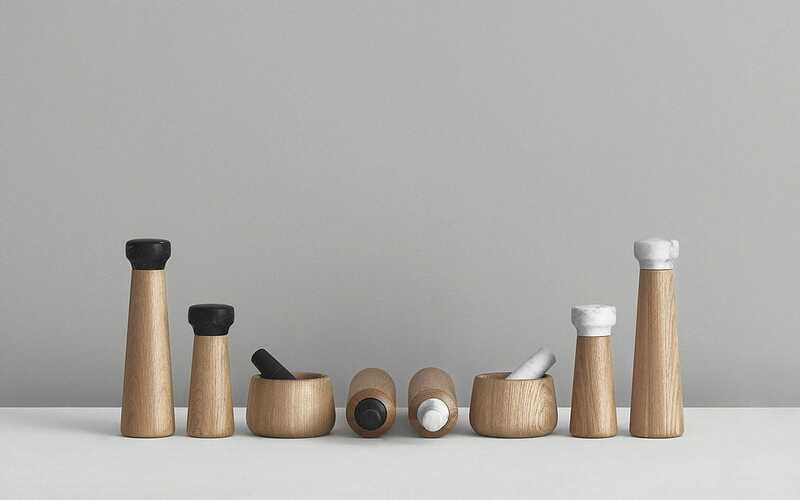 Normann Copenhagen make beautiful things. This sounds quite simple but in practice it is rather difficult, especially in a world where good design increasingly comes a poor second to low price. Superior products by definition should contain superior materials and can require small scale manufacturing involving many skilled processes. The Craft Mills exemplify this approach. 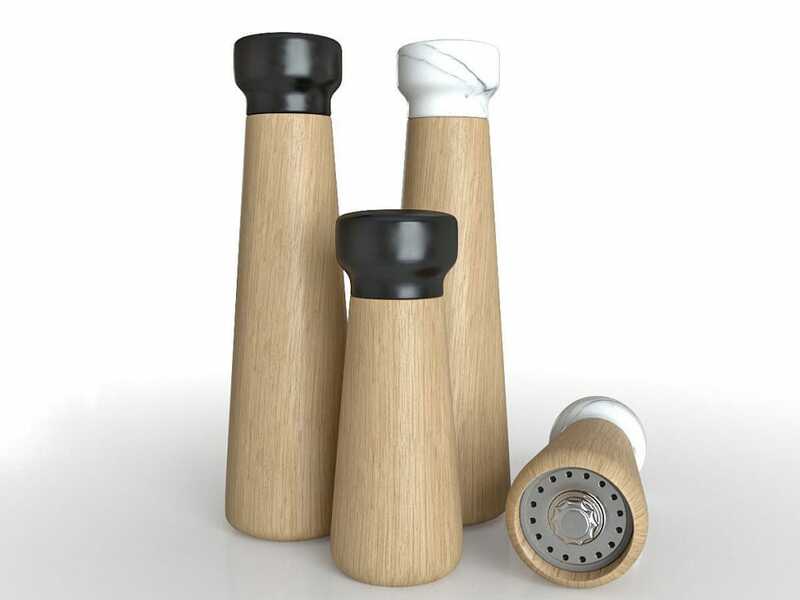 Quality mills made with exclusive materials, Normann Copenhagen presents Craft salt and pepper mills. 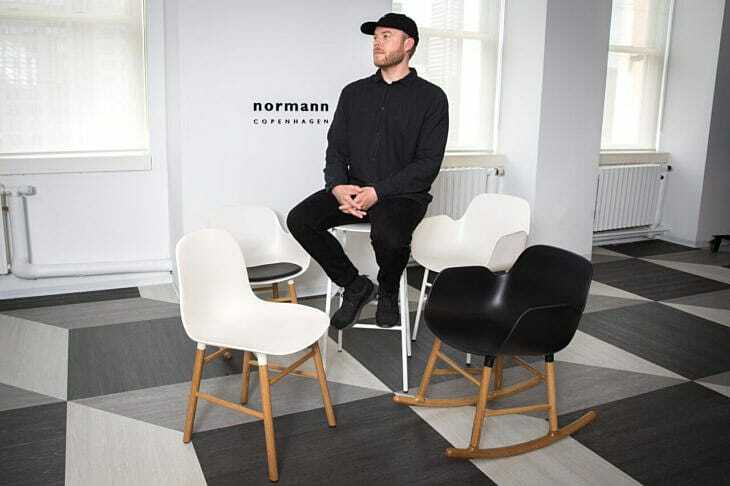 Danish designer Simon Legald has created a mill for Normann Copenhagen where excellent quality and exclusive natural materials go hand in hand. The mills have a classic look with a simple flared shape and a weight that makes them comfortable to hold. Hidden inside of Craft is a ceramic CrushGrind® grinder. This is one of the leading brands on the market used for mills. CrushGrind® has been tested to grind salt and pepper for an equivalent of up to 200 years use in a normal home without showing any notable wear. With a top turned from a single piece of white or black marble its finish is subject to the whim of nature, sometimes a solid color, other times shot through with veins and swirls. The body is turned from oak and creates a delightful tactile contrast when one hand is placed on the cool top and the other on the warm body. Simon Legald graduated from The Royal Danish Academy of Fine Arts. His work consists of both small- and large scale products. His’s designs are often created in a dialogue between craftsmanship and industry. Simon also likes to incorporate the techniques that are necessary for the structure of a product into the design by highlighting them visually. 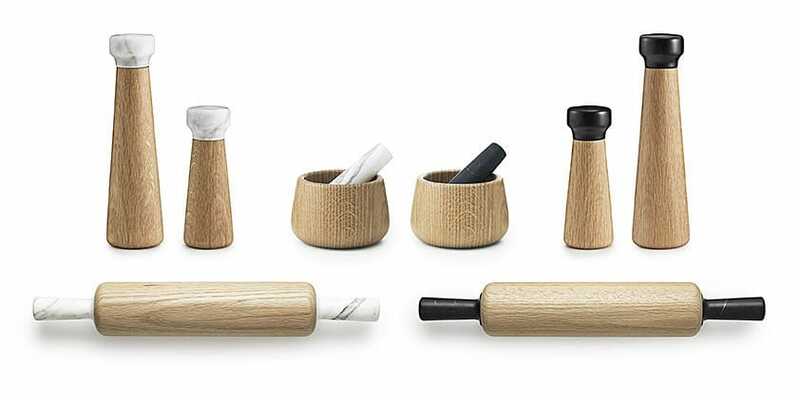 This Danish designer has created a range of kitchen utensils where excellent quality and exclusive natural materials go hand in hand. The Craft Mills are sold separately and look beautiful in the kitchen as well as being a decorative addition to the dining table. The black and white marble knobs elegantly underline the simple function of the mills. 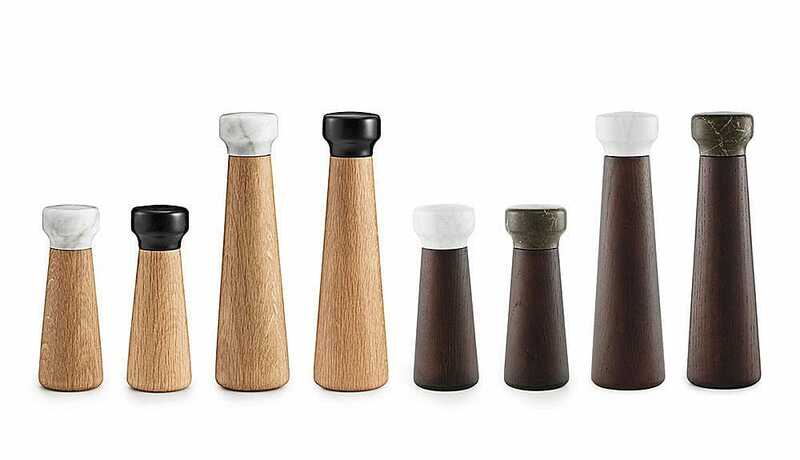 A long-lasting body of solid oak, along with a sturdy knob made of marble, makes Craft suitable for frequent everyday use. Craft collection and wide range of Norman Copenhagen products is available at GIR Store,Tresnjinog cveta 5. Visit us.